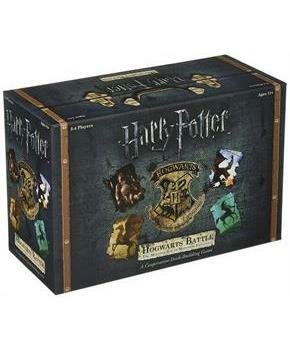 Venture into the forbidden forest with the Monster Box of Monsters, an expansion to Harry Potter: Hogwarts Battle Card Game (sold separately)! 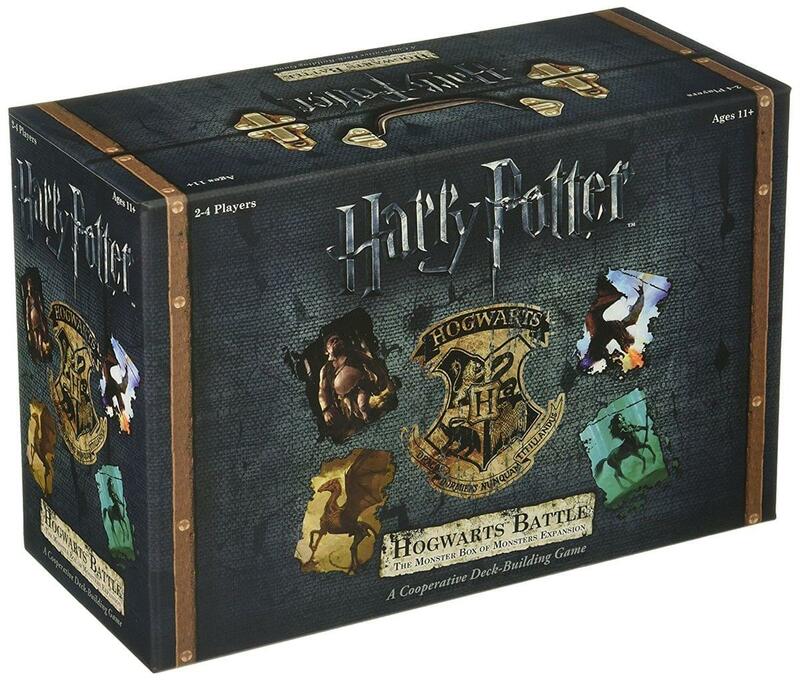 Play as Harry, Hermione, Ron, Neville or Luna Lovegood as you face frightening creatures and challenging encounters. Beware of any wrongdoing that might earn you detention! Only working together to defeat the evil forces and protecting iconic locations will make the Wizard's world safe once and for all! Expansion includes 152 cards (40 small, 68 regular, 44 oversized), 1 Die, 4 Game Boxes, 4 Game Rules, and 21 Chip Pieces (12 Influence, 1 Harp, 8 More). For 2-4 Players.